Perennial with non-rooting, flowering stems to 15cm. 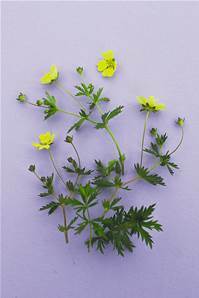 Yellow flowers May - August, sometimes chosen as food plant of Common Blue butterflies in suitable habitats. Found in grassy places mostly on acid soils but also occurs on limestone.